… is what my cats think! Cats just know stuff. And they are right. 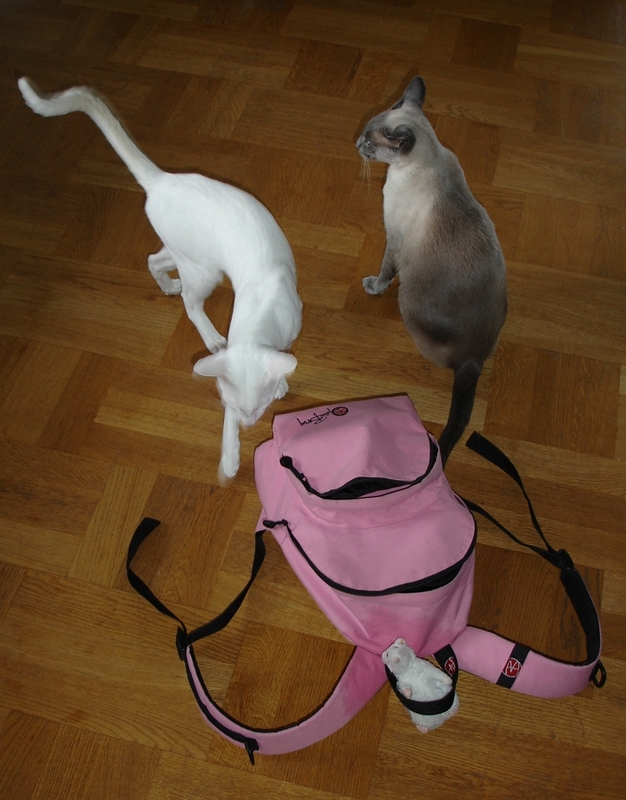 That is my pink backpack that Albert dragged and left on the floor. 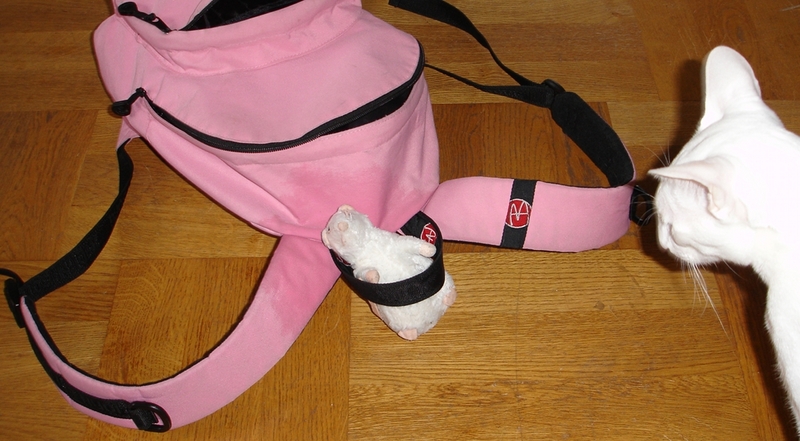 Also, there is a mouse that he previously ‘drowned’ in a water bowl (notice how my backpack is wet close to the mouse), and then ‘tied’ it behind the handle. It looked like a ritual killing committed by a psychopath! Albert drowns toys in the water bowls and then leaves them in the food bowls and similar regularly, but this was a bit more advanced piece of work!